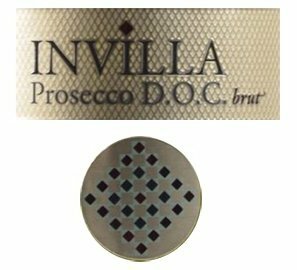 De Prosecco Invilla heeft een strogele kleur en een mooie pareling. Het boeket is fruitig met aroma's van bloemen. Ook de smaak is fruitig en zacht met impressies van appelen en peren. Sappig glas. This wine is obtained from selected grapes grown on the hills around Valdobbiadene at an average altitude of 250 meters (820 ft.). The vineyards yield a Prosecco (they also contain Verdiso and Pinot Bianco in a ratio of about 10%) that is particularly rich in malic acid. Cold maceration, with the skins in contact overnight with the must at a low temperature, assures remarkable extraction of varietal aromas that exalt the bouquet, as well as fruity and sapid flavors.